“I play with composition being in balance and out of balance. I do have images in the work, even though sometimes you can’t tell it’s an image right away. Formally, there’s a kind of storytelling to what I’m doing. For example the road paintings might look abstract and people might not think it’s a road until they read the title, “No Passing,” and understand it.” Mary Heilmann in conversation with Paul Laster The Painter’s Painter Theory of Solid Space July 24, 2017. David Reed has said, “I’ve learned to look harder and harder at Mary’s work. She’s very sly and deceptive. 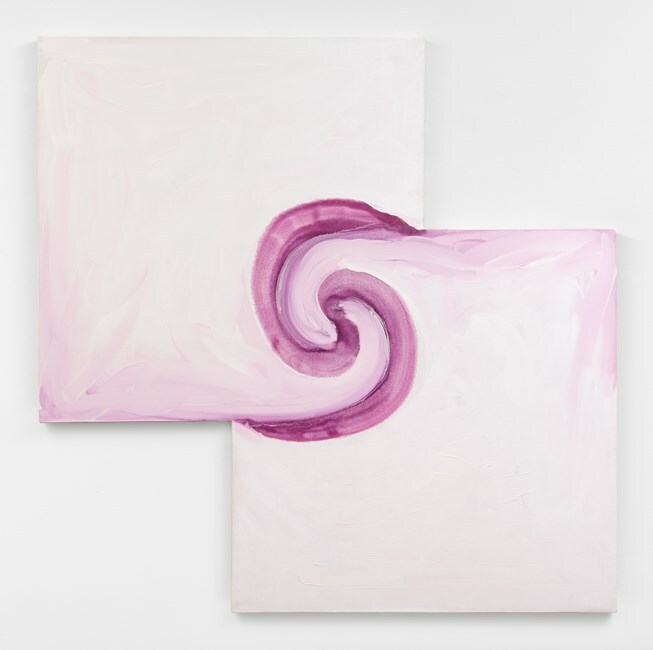 Her work looks casual and direct, but I realized early on that I had better pay careful attention.” Mary Heilmann & David Reed in conversation with Alex Bacon. Mary Heilmann’s works always look fast to me. Her images and abstraction play between conceptual abstraction and imagery. They feel like Surreal puns moving from recognizable things and historical art themes to abstract concepts.